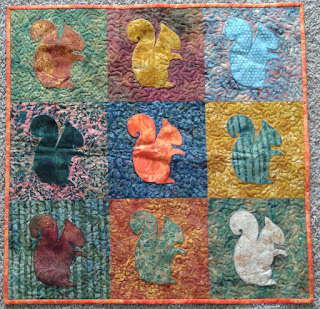 Cute squirrels, I like the colorful quilt! Your squirrels are so cute! They remind me of the squirrels at our feeders. I totally love your little quilt! The squirrels are as cute as can be. 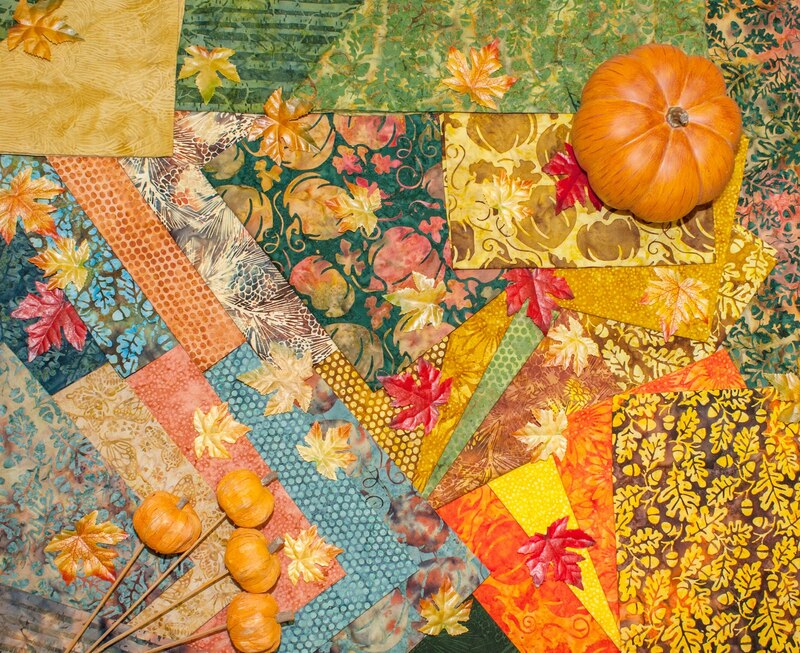 This is my favorite fabric collection so far. 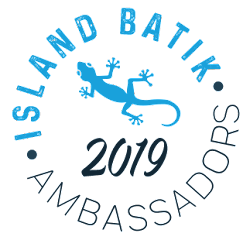 Thank you for the chance to win some of them. 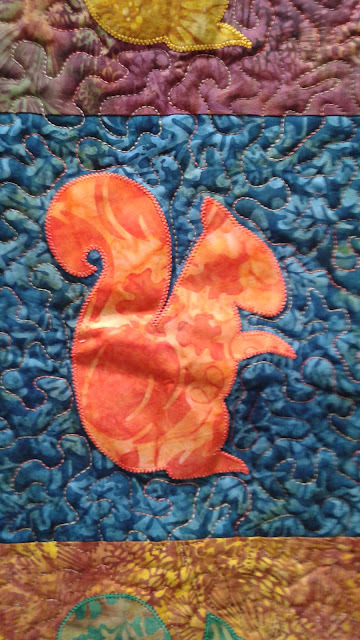 What fun squirrels....love love the fabrics. What an adorable quilt. So great that the whole family seems to love it, too. Thanks for the chance to win. Squirrels are special around here, too. My husband has always used them in his "moral" stores for the kids and grands! I even made Christmas squirrel ornaments for the grands in 2017. 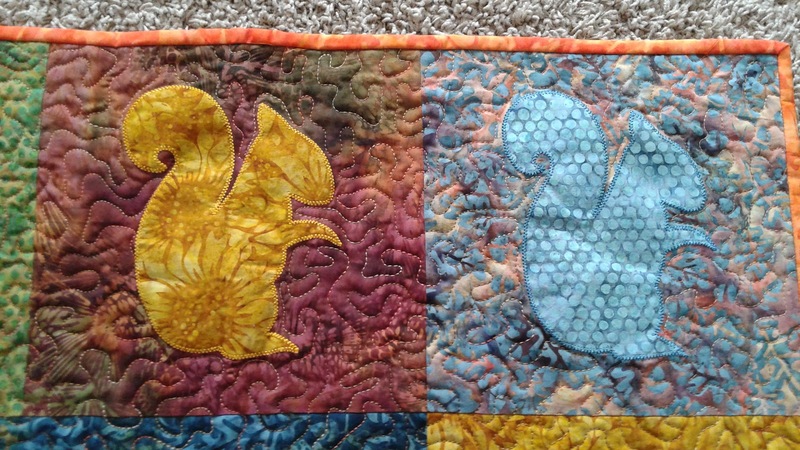 This is a perfect little squirrel quilt with a gorgeous collection from Island Batiks. So cute! I have a daughter that would love this quilt! SQUIRREL!! I like that the squirrels are all different. 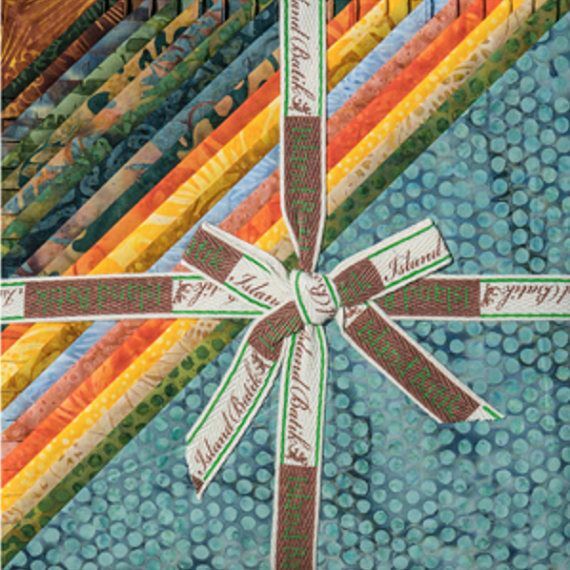 Great choice in only quilting the background. The squirrels stand out nicely. Your color combination is very nice. Those squirrels are adorable. No wonder the little man wanted to show them off. Thanks for sharing. 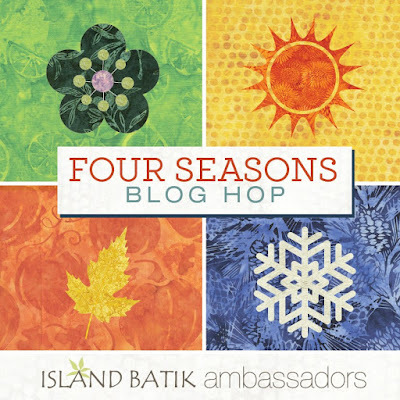 I have been really enjoying the blog hop. This quilt is so cute! Who knew squirrels were so adorable? You did! 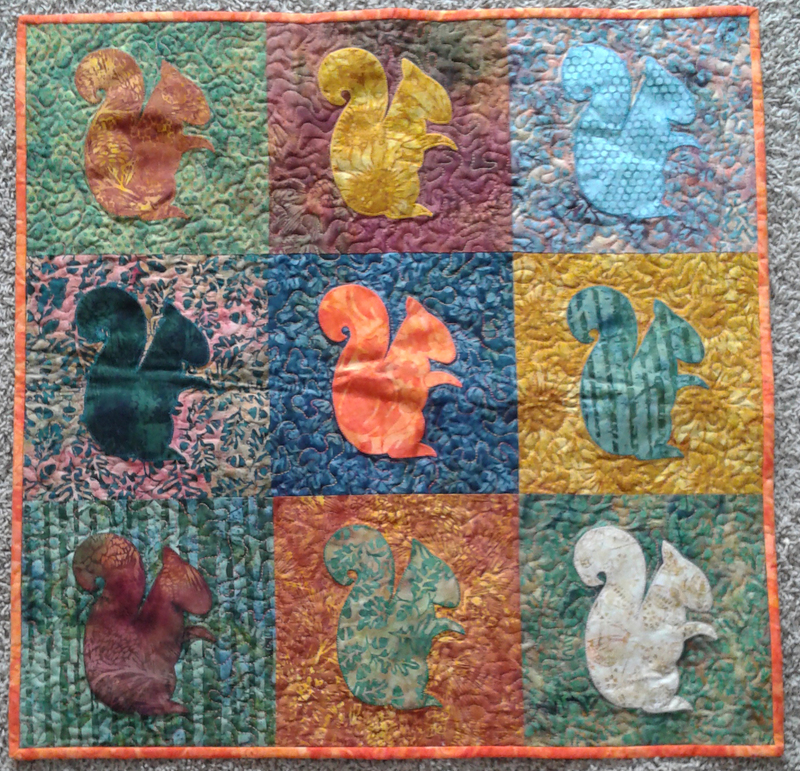 I never would have thought to make a quilt with squirrels on it, but it is very cute! Your squirrels are cute! Love the colors. This is so cute. I love the colors, and your little helper. Very original applique... I have seen bunnies and cats and dogs but your squirrels are unique and so cute. 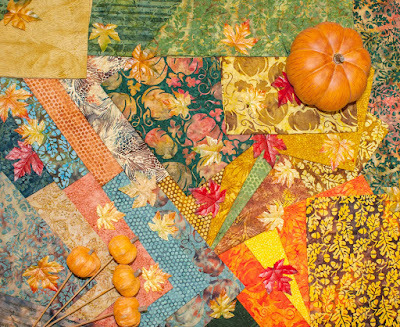 Such a cute quilt - and the fabrics are great! Your squirrel quilt is lovely and it's wonderful that your husband wanted to hang it on the wall. However, I must tell you I am not a big fan of squirrels since they built a nest in my car and I had to replace the radiator and get the air filter cleaned out (quite expensive). You have a very cute quilt holder holding your really cute quilt. Super Bowl Sunday...who knew I'd be excited for it? Seeing that the Eagles new quarterback, Carson Wentz, hails from my hometown and Alma Mater. Too bad he was injured and now sitting on the sidelines. 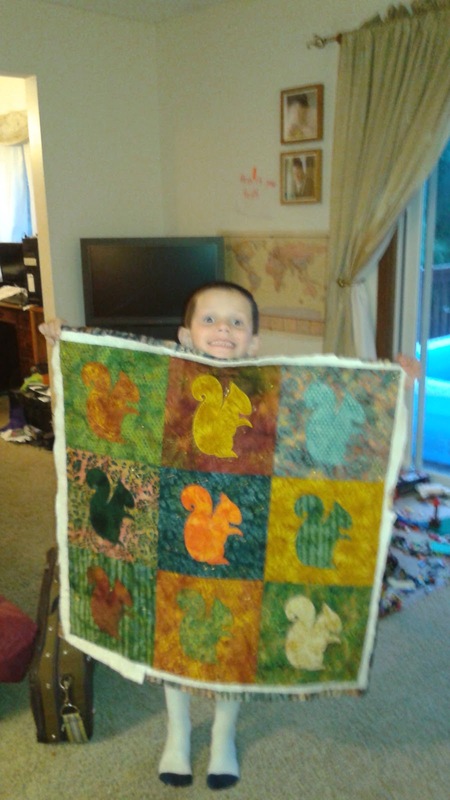 Such a nice quilt and cute quilt helper! 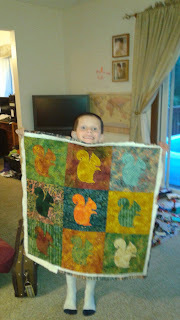 Your squirrel quilt is adorable - I totally get why your husband asked you to hang it up!! 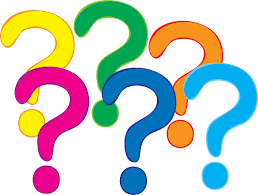 Now, are you renting out your quilt holder?? Too cute!! Thank you for the wonderful giveaway! Ahhhhh!!!! I love Squirrels! Your quilt is gorgeous! Squirrels and the fall colors are just perfect. Your darling model did a great job displaying your quilt as well. Thanks for sharing. Very cute. I love squirrels and always have to stop and watch them when i see one. 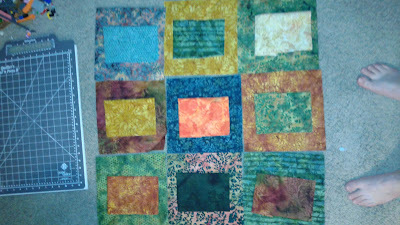 Oh what fun this quilt is. I have always enjoyed watching the squirrels scurrying around in the fall and stashing the walnuts off our trees. 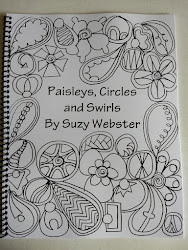 This one would be great to remind me of them all winter too! Such a cute project! I love the colors in this collection. 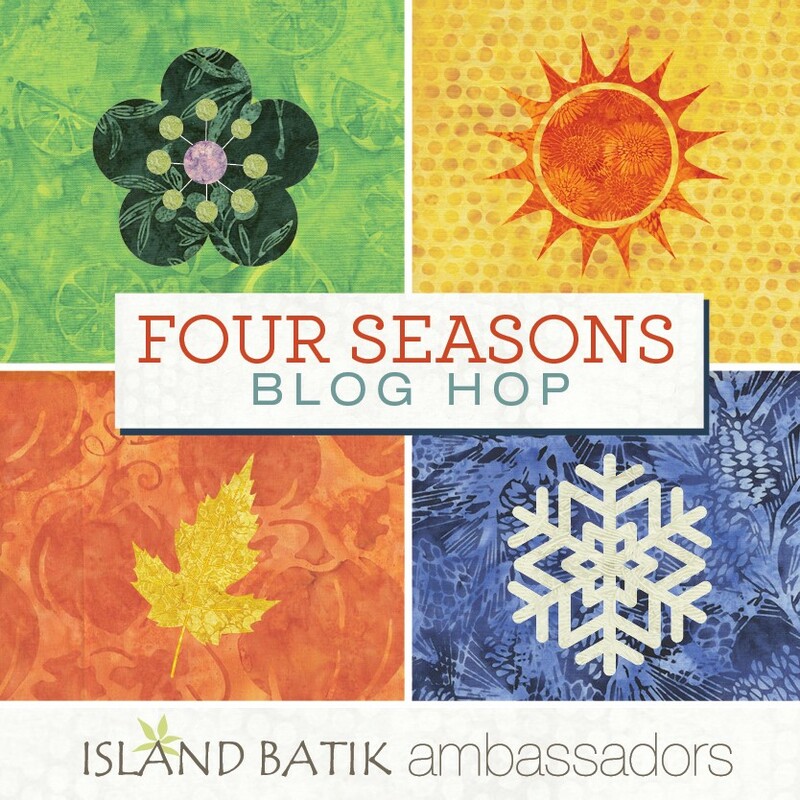 I love the squirrels - and the colors in this collection! So cute! And that is a little cutie holding the quilt too! brenda(dot)alburl(at)charter(dot)net. Thanks for the giveaway! Love the squirrel quilt! So cute! Your quilt is adorable! We used to call our dog "squirrel girl" because the squirrels drove her crazy! When we visited Atlanta, they would climb up the walls outside of the apartment where we were staying and stare at her through the window. She would turn to me with an expression that seemed to say, "Are you seeing this??!! Can this be real? Do something about it!" We didn't have anything like those big bold squirrels in California. I might have to make a squirrel mini quilt to hold on to that happy memory. How cute, I just love squirrels and always put corn out for them.